Paragon Genomics' CleanPlex next-generation sequencing (NGS) target enrichment technologies will be incorporated into Sophia Genetics’ SOPHiA AI Platform, the companies said today, through a partnership whose value was not disclosed. The combination is designed to provide SOPHiA AI users with a comprehensive and standardized solution for accurate genomic detection and characterization of tumor alterations in a single test, Paragon and Sophia said. CleanPlex is a proprietary, ultra-high multiplexed NGS target enrichment technology incorporating PCR background cleaning chemistry designed to effectively remove non-specific PCR products generated during highly multiplexed PCR reactions, resulting in higher sequencing on-target rates, better assay sensitivity and lower assay failure—a 10-minute digestion step intended to achieve high-quality libraries before targeted sequencing. CleanPlex is designed to allow tens of thousands of amplicons to be multiplexed in a single reaction pool, thus enabling large numbers of targets to be interrogated in a single assay. CleanPlex is available as ready-to-use panels or as customized assays designed and optimized using the company's advanced panel design algorithm. SOPHiA AI clinical genomics technology, designed to assist healthcare professionals in diagnosing and treating patients, is used by more than 850 hospitals in 72 countries. The platform incorporates Sophia’s Pepper technology, designed for accurate detection of single nucleotide polymorphisms (SNPs) and insertion and deletion alterations (INDELs); Muskat, designed for copy number variation (CNV) resolution; and Moka, designed for advanced variant annotation. “This new partnership reflects our ongoing commitment to provide our global community of healthcare institutions with the most effective genomic solutions available, thereby accelerating the adoption of data-driven medicine,” added Jurgi Camblong, CEO and co-founder of Sophia Genetics. Sophia and Paragon are promoting their partnership at the Association for Molecular Pathology 2018 Annual Meeting (AMP 2018), to be held November 1-3 in San Antonio, TX. The companies are co-sponsoring a pre-conference AMP 2018 Corporate Workshop today discussing how CleanPlex ultra-high multiplexed and molecular-barcoded NGS panels can help accelerate and streamline targeted sequencing studies. Paragon Genomics researchers will also present a poster detailing the performance of CleanPlex NGS Heredity Panels. Separately, Paragon Genomics is marking the upcoming launch of its CleanPlex UMI Custom Panels by announcing an award for cancer researchers in academia, government and not-for-profits that submit research proposals for applying the technology. “Three to five” winners will be awarded a CleanPlex UMI Custom Panel built to the specifications of their study, with help from Paragon experts. Deadline for applications is December 20, 2018, with winners to be announced in January 2019. CleanPlex UMI technology is designed to improve and simplify NGS detection of low-frequency mutations in circulating tumor and FFPE DNA for liquid biopsy, tumor profiling and related applications. 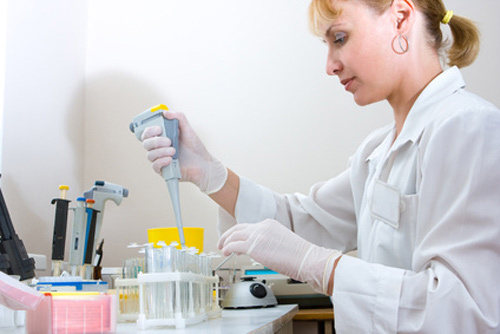 It incorporates unique molecular identifiers designed to enable correction of PCR and sequencing errors to achieve more accurate results. According to Paragon, CleanPlex UMI detects ultralow-frequency variants at 0.1% allele frequency with high specificity using only 30ng of DNA in a rapid, single-tube format.